Matt is a graduate of The University of Iowa College of Pharmacy. He is an adjunct faculty member of the University of Iowa College of Pharmacy and Drake University College of Pharmacy, serving as a preceptor for Community Care Pharmacy Practice residents and Doctor of Pharmacy students in Pharmaceutical Care. He is a member of Outcomes Certified Pharmaceutical Care Network and has been instrumental in furthering community-based research in Iowa. Matt has completed the Iowa Center for Pharmaceutical Care training program and the APhA Community Pharmacy Management program. He served on the Iowa Medicaid Drug Utilization Review Commission from 1985-2000, and the Iowa Board of Pharmacy Examiners from 1993-2002. 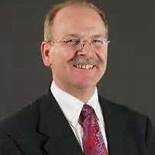 He currently serves on the Iowa Medical Assistance Pharmaceutical and Therapeutics Committee, the Board of Directors of Pharmacist Mutual Insurance Company, the Board of Governors of Outcomes Pharmaceutical Healthcare LLC and the Board of Directors of the Iowa Pharmacy Foundation. He is an active member of his local, state, and national pharmacy associations, serving in a variety of leadership positions, currently serving as a Trustee of the American Pharmacists Association. Mr. Osterhaus is actively involved in community development currently serving on the boards of MIDAS (Maquoketa Industrial Development Assistance Services), Timber City Development Corporation and Maquoketa State Bank and as President of the Maquoketa Area YMCA. Matt will be installed as APhA’s President-elect on March 4th at our annual meeting.